The Insanity Of Guns On Campus! 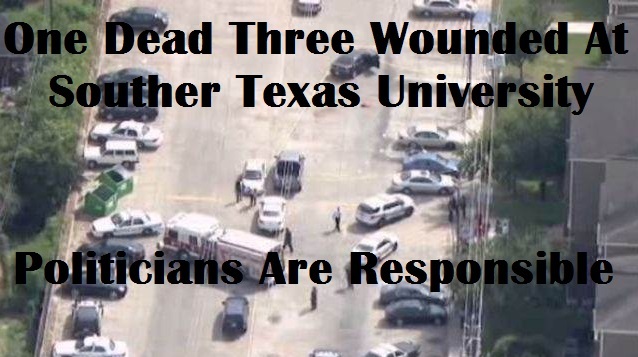 Friday October 9, 2015, One Dead One Wounded At Texas Southern University; One Dead Three Wounded Northern Arizona State University. Politicians Must Be Held Accountable For Promoting Gun On School Campuses! The Houston Police Department said a possible suspect in Friday’s shooting was in custody. The university was on lockdown for a few hours, and classes were canceled for the day. The shooting occurred about 11:30 a.m., at a campus housing complex, the University Courtyard apartments, the police said. Officials have not released any information about the victims or the suspect. 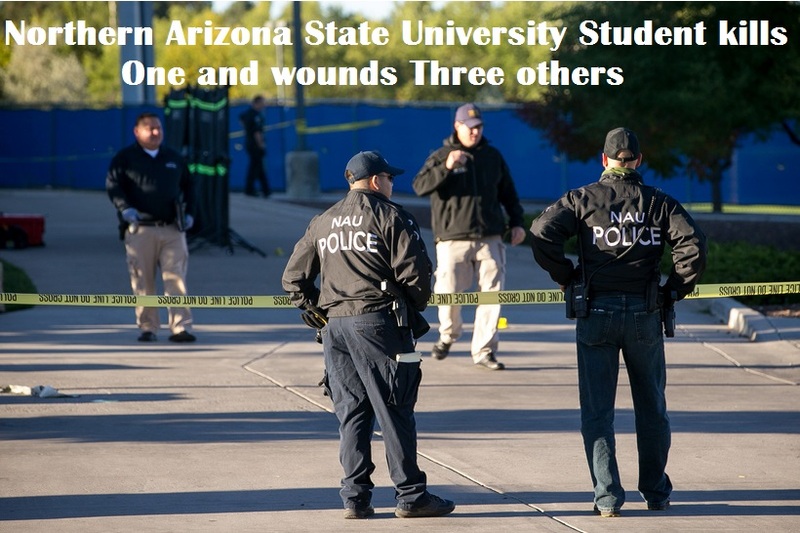 It was the second university shooting of the day in the United States; coming hours after a gunman killed one person and wounded three others at Northern Arizona University in Flagstaff. An 18-year-old student was arrested in that attack.